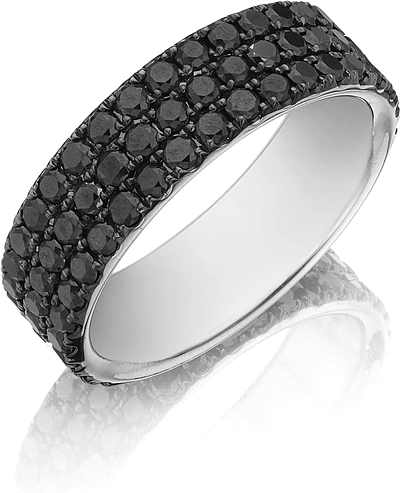 This Henri Daussi eternity men’s band features three rows of round brilliant black pave´ set diamonds. 7mm width. Priced with diamonds halfway.